Sensex made a low of around 1400o close to the 50 % retracement around 14050 odd . But technically cutting the extreme short term range of 14100 on lower side is a weak sign although till we dont see a sustained close or a turn around move it would be ideal to wait. The range bound markets could remain for a while. Inflation , Dow and crude cues are giving a positive cue to markets and might have hit some stops and trapped some stbt traders. Well thats one of the reasons have been mentioning not necessary to trade everyday ! as in such mkts its difficult with range being small. Inflation surprises with a 12.4 against 12.63 whereas the mkts were expecting 12.77-12.83 and some 13 + . But one thing to note is inflation is for the data which was 2 weeks bacK !! and quite some prices have actually risen like sugar, food in the last 2 weeks according to market-men. So this impact could be seen in coming data so a single down tick doesnt say a peak out ! Lot of small stop hits or cutting of trades on cost have been the recent probs with traders but one needs to continue to be disciplined and wait . Castrol moved up sharply but subsided by eod. IDFC below 88 could give a break to 80 levels which would be a gr8 level to take sizeable position for long term . Bombay Dyeing and Century Textiles seem to be an interesting long term portfolio picks which may not perform so well in short term and can drift further lower . Investors with 1 yr + view can start buying regularly and may even surprise in short term . People interested in joining the technical analysis course in Mumbai or other cities can mail the details to noorrock2002@gmail.com or call 09819225396 for queries . A session planned for Sept 2nd week -3rd week in Mumbai tentatively . Plan to conduct one in bangalore if we get adequate no of interested people. 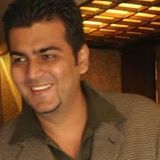 For subscription details of exclusive services check --- http://analyseindia.blogspot.com .